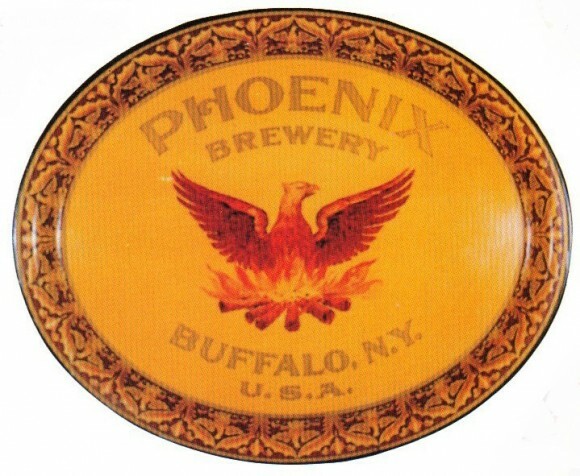 Serving Tray for Phoenix Brewery out of Buffalo, New York. The central figure is a Phoenix coming out of the fire. The border has a beautiful design of what looks like wings of a phoenix.